For the past week, I’ve done very little but play Destiny, a video game in which you travel through space lamenting that Destiny has gotten way harder to make fun of in the first lines of Kotaku posts because it’s so friggin’ good now. This is not much of a change—I’ve been a Destiny addict for the past year—but things are very different now. For one, I no longer hate myself every time I play. More importantly, thanks to some crucial and brilliant changes Bungie made to the leveling system, I can do whatever I want and still feel like I’m making progress. Last December, after the launch of the mediocre The Dark Below, I wrote about the fundamental flaws with Destiny’s clumsy, confusing leveling system, which forced everyone to wear the same gear—first from the Vault of Glass, then from Crota’s End—if they wanted to keep up with the level cap. House of Wolves alleviated the problem by adding an item that could boost up any piece of armor to the highest light level, allowing players more flexibility with their gear, but we all knew that was a band-aid, not a solution. Now, things are different. 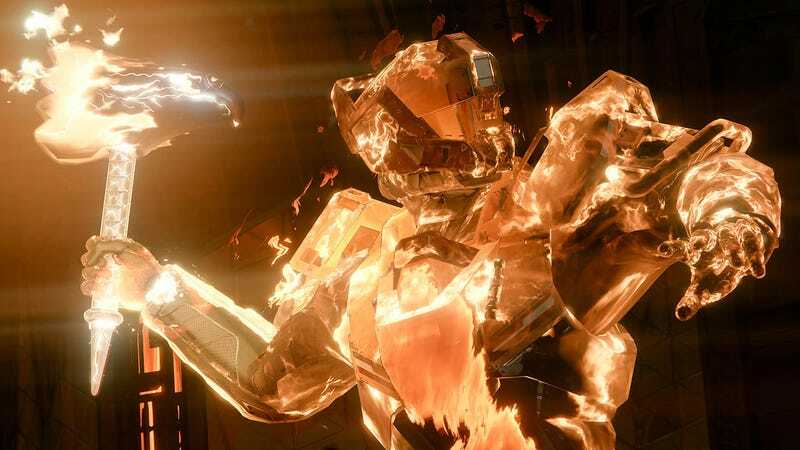 Though the new leveling system is still based on your gear and seems very similar on the surface—it’s still called your “light level”!—the developers at Bungie have made some smart tweaks that make progression feel like way less of a chore. Let me explain. First, for any of this to really matter, you have to hit the current level cap, which is 40. This is super easy—you can do it naturally just by playing through all the story missions—and it’s essentially just a gate that opens up the endgame for you. Your light level is basically the REAL level of your character, as it’s the modifier that’ll affect how much damage you dish out once you start getting into high-level strikes, raids, and other endgame Destiny content. It’s a weighted average of the attack and defense values across all of your current weapon and armor slots—primary, special, heavy, ghost shell, helmet, gloves, chest, boots, class item, artifact—and it’ll grow and shrink based on what you’ve got equipped. Bungie has also increased the engram drop rate big-time, so no matter what you do in the game, you’ll probably wind up getting a few blue engrams, and therefore making real progress. Want to do nothing but story missions? You’ll make level progress! Want to run crucible playlists all day? You’ll make progress! Want to just hang out in the Dreadnaught and kill random mobs non-stop? Progress! Here’s the other cool part: you can now “infuse” legendary weapons and armor, feeding them higher-light gear to boost their own attack or defense values. In other words, if you find an auto-rifle with incredible perks that you want to hang onto forever, but it’s only 250 attack, you can wait until you get another primary weapon with higher attack and feed it to the gun you love. This whole system works phenomenally and is one of the best things Bungie’s done with Destiny in year two. Leveling in Destiny suddenly feels like a rewarding experience rather than a grueling chore. Goodbye, gates! Hello, Taken King. It’s good to have you here, even if you’ve struck a big blow to my snark potential. Expect our full review of Destiny: The Taken King later this week.